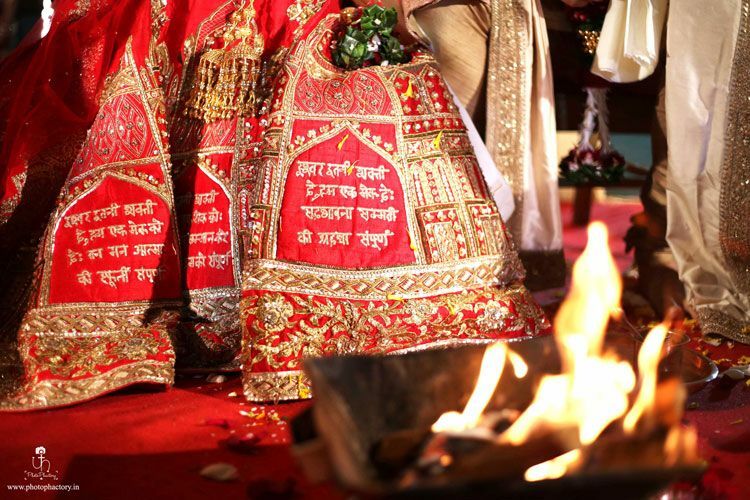 10 Innovative Ways Brides Personalised Their Lehengas! 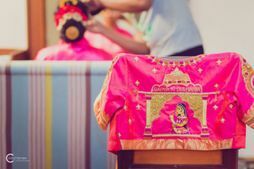 We love creative brides, or those who take things a step further- personalising the bridal lehenga is the new idea on the block, and we are seeing more and more brides who are all for it! 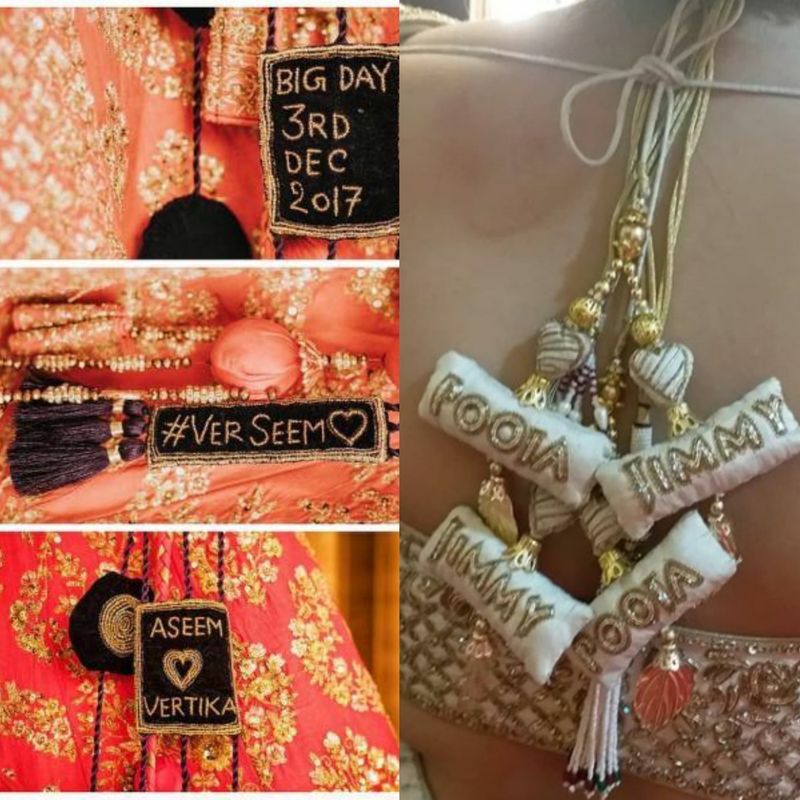 Here are some of the coolest and most innovative ways we saw brides personalise their lehenga- so if you're looking for inspiration to make your lehenga special, here it is! These brides who got their blouse backs embroidered! This is a new idea we've been spotting off late, and while it does look pretty trendy, it is a personal preference! These ones who got the couple's names included in the design! 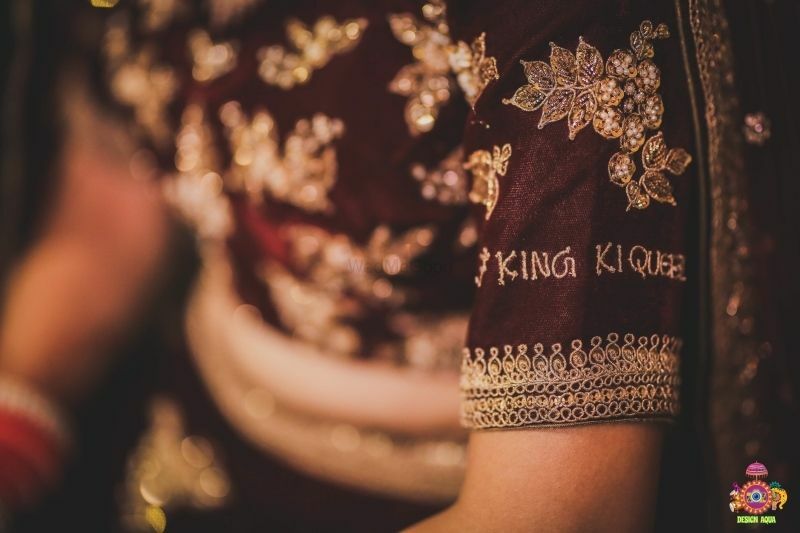 Names embroidered on the lehenga- a cool yet subtle way to personalise the lehenga! 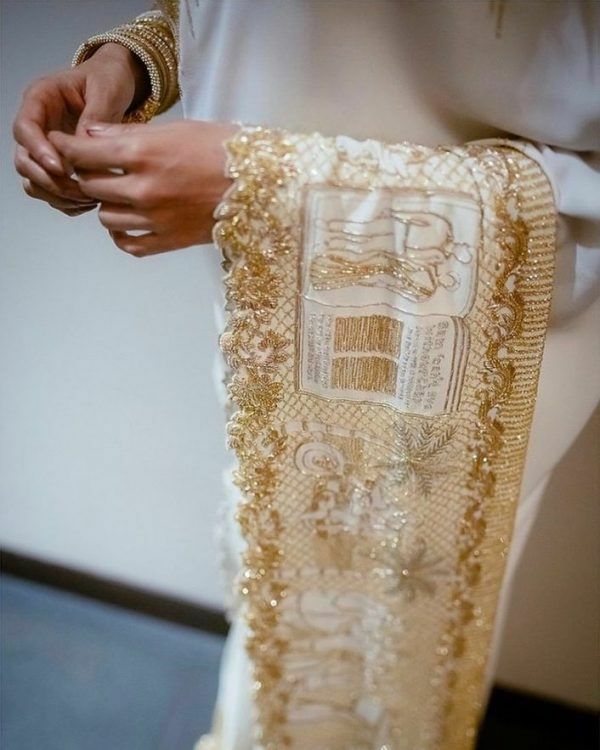 This bride who got her wedding hashtag embroidered on the blouse sleeve! Wedding hashtags are all over the place, and we have been spotting new ways to display it! Another great subtle idea! 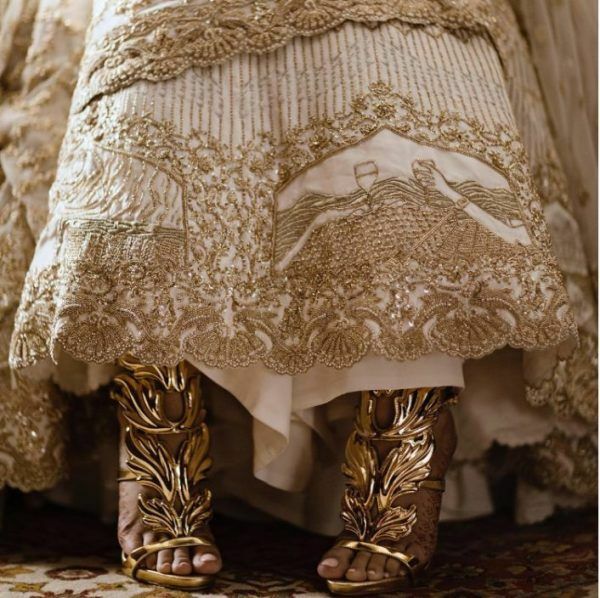 This bride who got her latkans personalised with names and the wedding date! 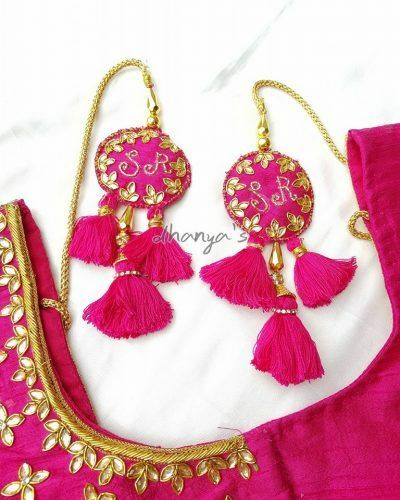 Another trending idea, personalised tassels with names, date or more details! 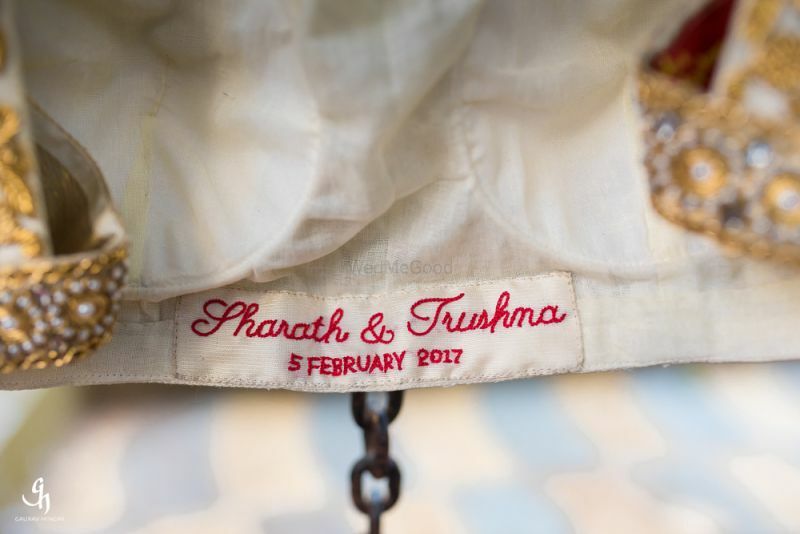 This bride who got the lehenga label personalised instead! If you don't want it on the outside, you can get it done on the inside! A whole quote embroidered on the border of the lehenga- that's a new one! This is also one of the cool ideas that we spotted- so unique and different! This one was designed by the bride herself! 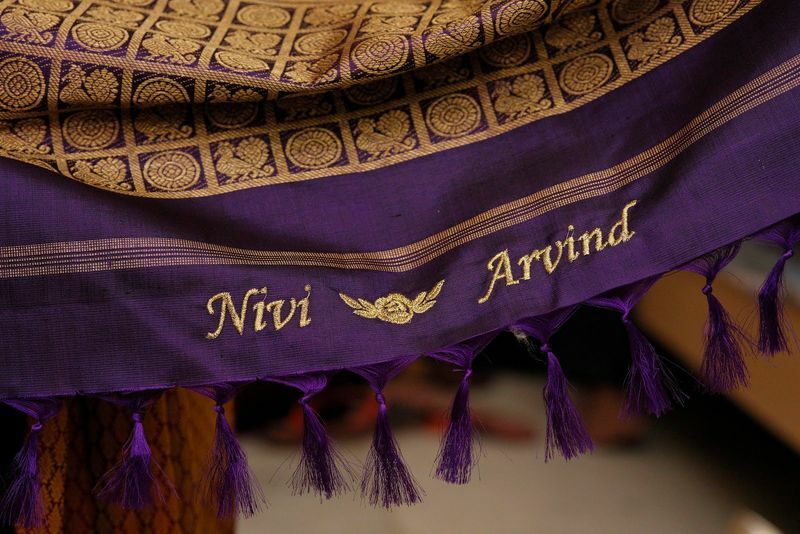 This Kanjeevaram with the couple's names on the pallu! This is such a subtle yet cool idea too! 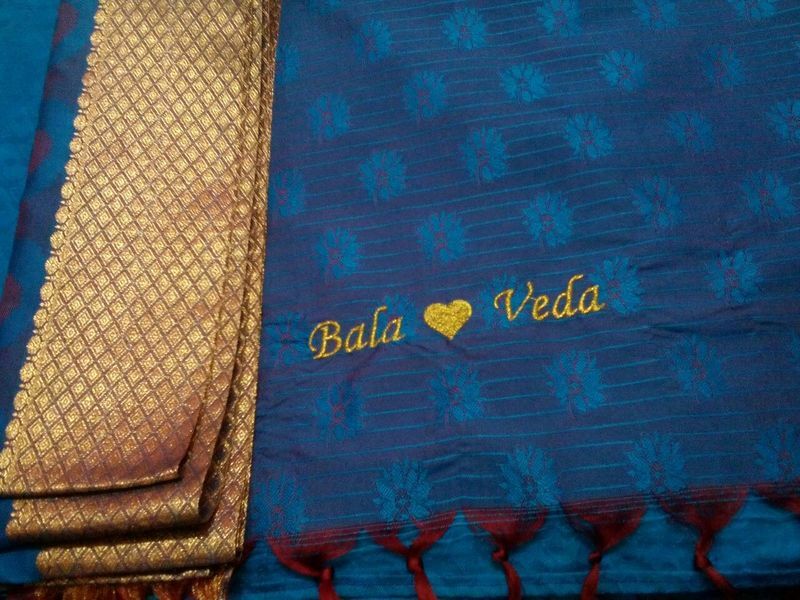 And makes the saree special! Or this blouse with the couple's portrait's made on it! 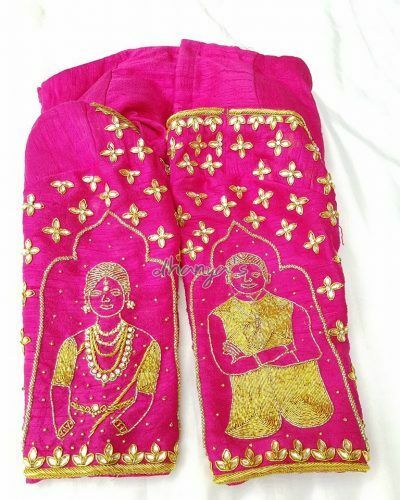 Another one we spotted for South Indian brides, if you want your portrait made on your outfit, yes you can! & finally, the one that started it all- the love story lehenga and the saree! The one that started it all- the love story lehenga and Samantha Prabhu's engagement saree by Kresha Bajaj. 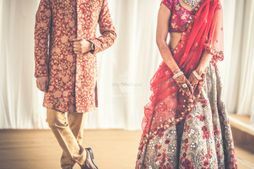 ALSO READ: How To Add Your Love Story On Your Lehenga! 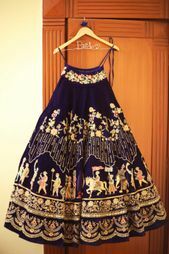 Two Cool New Ways To Personalise Your Bridal Lehenga! 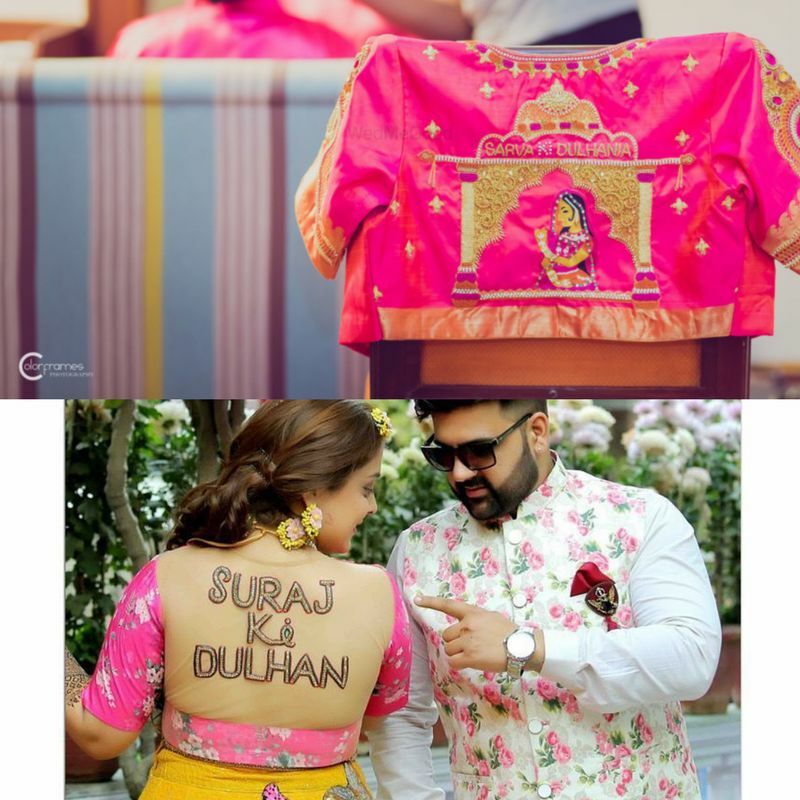 How To Add Your Love Story On Your Lehenga! 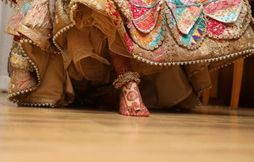 This Bride Wore A Patchwork Lehenga ....Would You ? 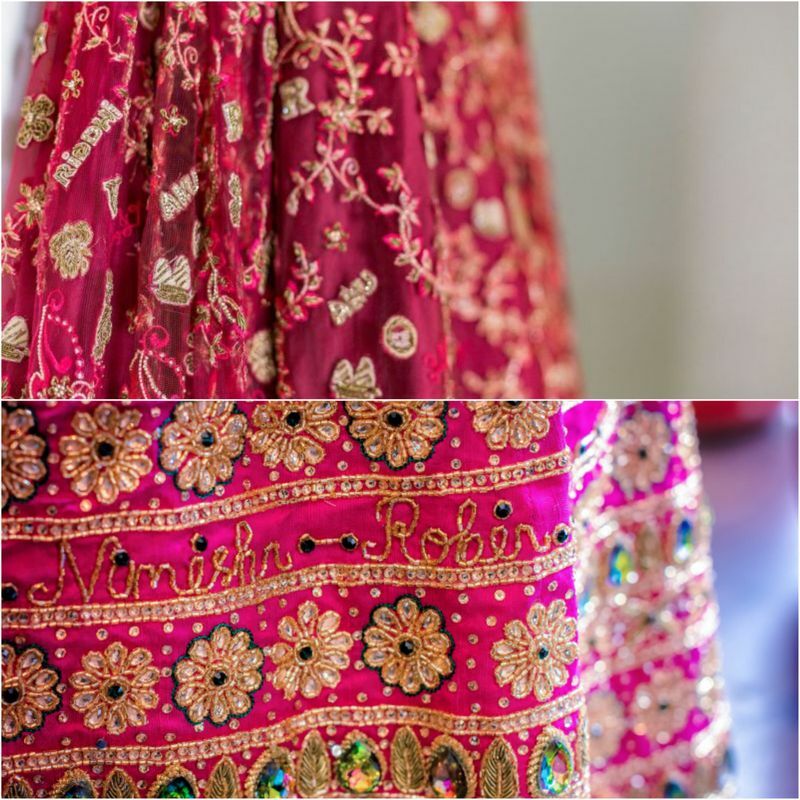 This Bride Got A Custom Lehenga With Personalised Embroidery! Where To Go To Stitch A Blouse In 72 Hours in Mumbai!